Ruth clings to a boat in a stormy sea while her father (Michael Craig - Robin of Sherwood, Tales of the Unexpected) swims out in a desperate attempt to save her. He is too late and she is flung from the boat onto the nearby rocks, bleeding and unconscious. Arriving at the hospital, he and his wife are told she needs an urgent blood transfusion in order to live, but her father will not consent to this on religious grounds. His wife (Janet Munro, BAFTA-nominated for her performance) tries to convince him to change his mind but it is too late - Ruth has died. Infuriated, the doctor (Patrick McGoohan - The Prisoner, Danger Man) brings charges against the father, and the emotionally-charged issue creates rifts and heals wounds before a conclusion is reached. 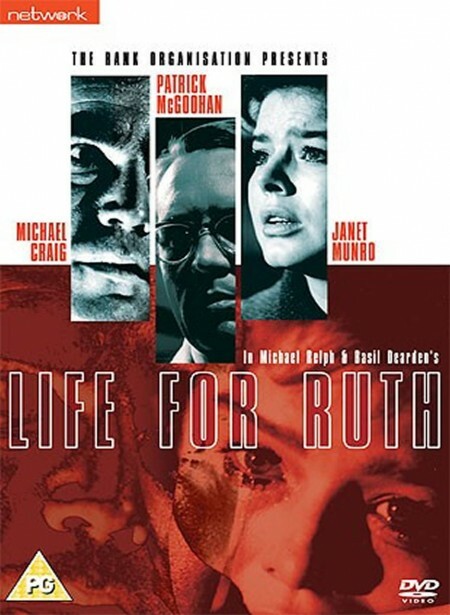 Featuring towering performances from both Craig and McGoohan as ideological opposites who only want the best for the young girl, Life for Ruth is as relevant now as it was when it was made in the 1960s.